A new spot to score burgers and more has opened its doors in the neighborhood. The newcomer to DTLA, called Upstage Burger, is located at 135 N. Grand Ave. in the newly-renovated Music Center Plaza, directly overlooking the Walt Disney Concert Hall and Bunker Hill. The new addition comes courtesy of the Patina Group, Eater LA reports, a world-class restaurant and food service company founded by restaurateur Nick Valenti and leading chef Joachim Splichal. With 3.5 stars on Yelp, Upstage Burger is still finding its footing. Art A., who was among the first Yelpers to review the new spot on Nov. 6, wrote, "Cheeseburger and sweet potato fries were good. A little pricy though. ... And it was kind of weird that they didn't accept cash, only credit card. But overall it was nice and I'll probably go back again." "This place is delicious!" 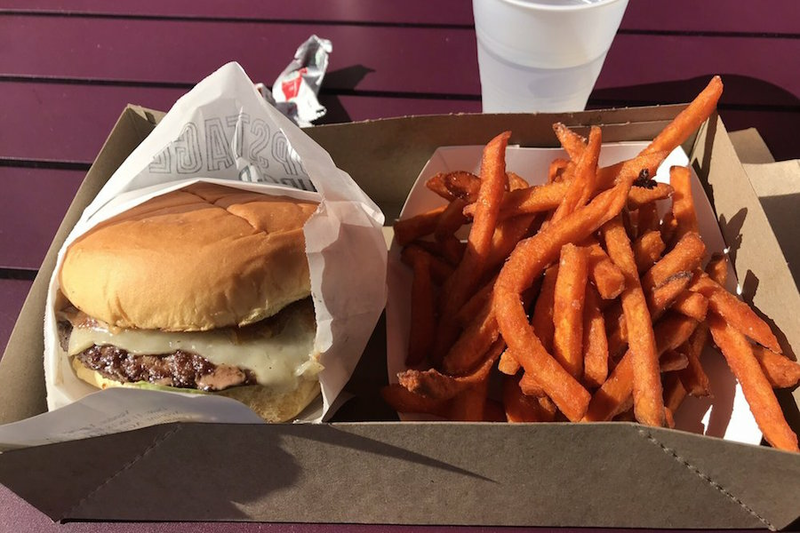 shared Yelper Drew R. "The Backstage cheeseburger was everything I hoped it would be and more. Prices are extremely reasonable as well." Head on over to check it out: Upstage Burger is open from 11:30 a.m.-2 p.m. on Monday, 11:30 a.m.-2 p.m. and 5-8 p.m. on Tuesday-Friday, and 11:30 a.m.-8 p.m. on weekends.